Band to Join, Vocalist, Rhythm Guitar, Lead Guitar, Drums, Saxophone. 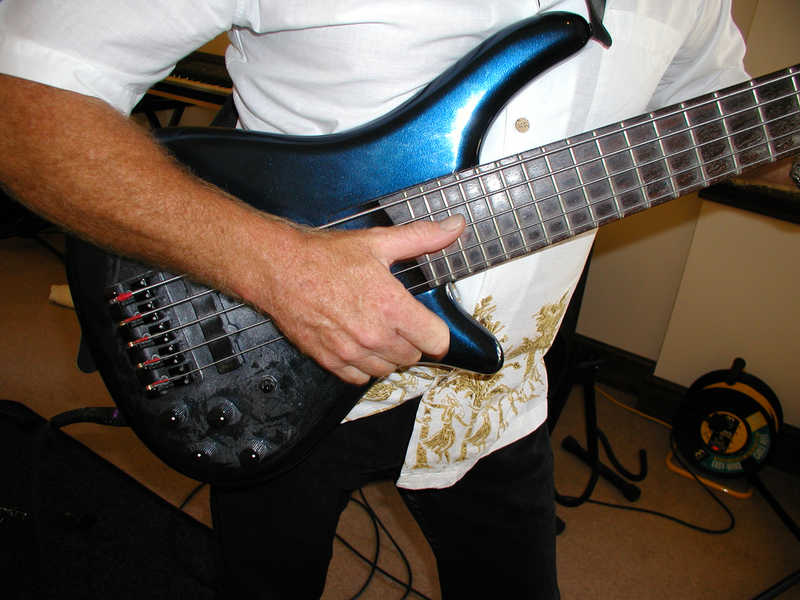 Bass player, 67, been playing semi-pro off and on since 1974. Some backing vocals where the bassline allows it. JJ Cale, Spin Doctors, Crowded House, Albert King, ie anything with a blues to MOR feel, includes rock, but not heavy metal. I like all music styles including M.O.R, rock, folk rock, funk, blues - anything with drive, energy and feeling, all except for trad' jaz which I just can't get my head around. Can't read the dots (not fast enough to be any good anyway). Good kit, good attitude, not afraid to put in the graft, and I live in Broadstone so ideally placed for the Poole B'mouth area. Trace Elliot stack, comprising GP 12 SMX 350w head, 4 x 10" + horn 300w top cab and 15" sub 300w lower cab. For most pub gigs (indoor) the top half is sufficient. Also have a small practice amp. 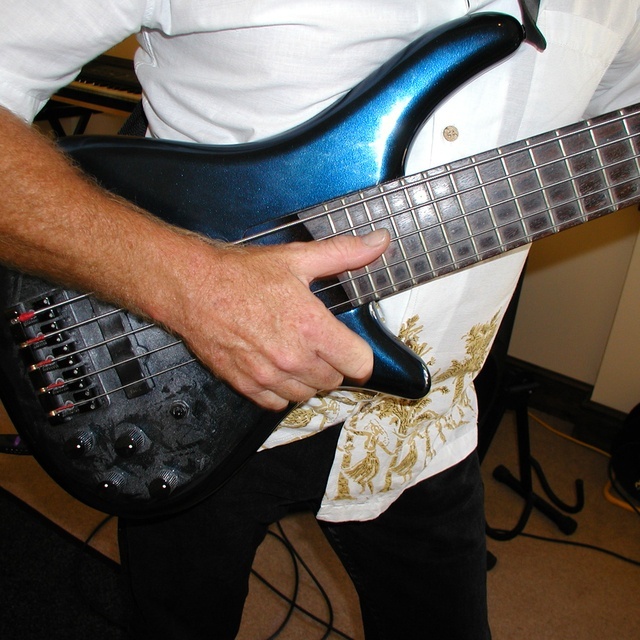 Bass Collection 5 string active, also about to invest in a fretless to cope with new material I'm working on. I am bass track only. Probably studio or may have been live - can't remember!